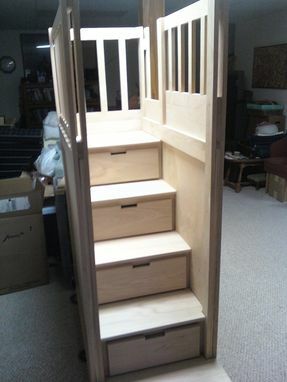 This design was requested by a client and build to their specifications. 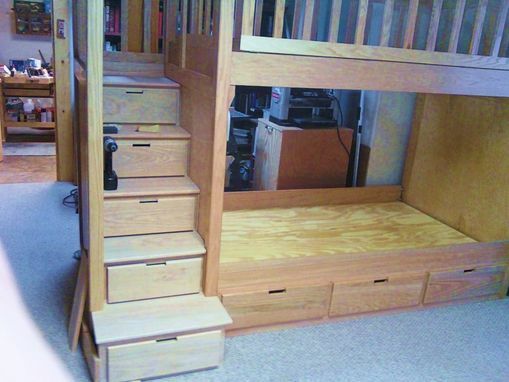 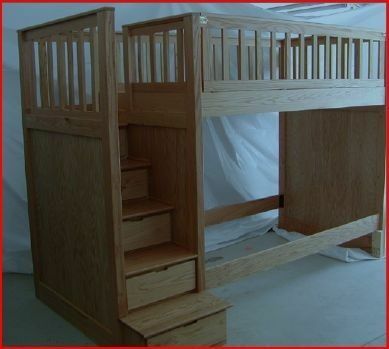 Under each step is a drawer and there are two additional storage drawers under the bottom bunk. 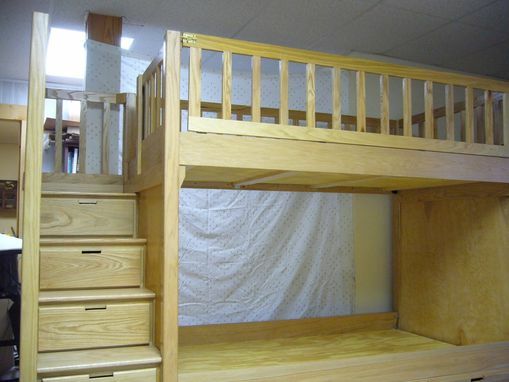 This project was built of red oak and finished with a semi-gloss polyacrylic. 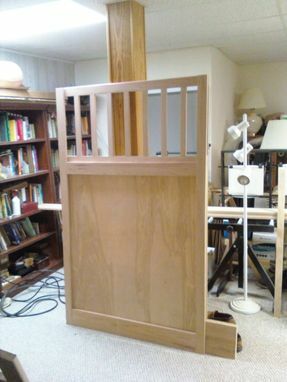 The entire unit is composed of seven pieces and may be disassembled for relocation.